Compete now through Sat, 6/30 with your country club for a chance to win these sunglasses tee markers and flags that are perfect for summer! Play CC Event #76 this week to win these tees and flags as well as other in-game rewards, like Course Builder currency for the top 500 clubs to create custom courses. 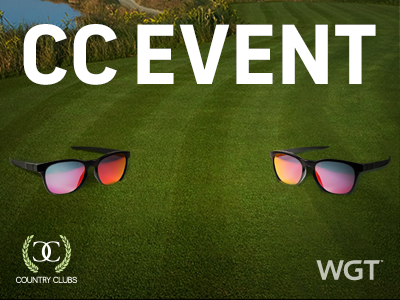 CC Event #76 runs 6/29-6/30 with multiple 4-hour Clashes, so be sure to play as many games as you can for your club and keep your eyes on the leaderboard.